Wee Lil' Blog: Knickernappies Giveaway #14! In a comment on this post, answer the following question one time for your mandatory entry. Click on the "shop our store" button to the right and visit the Knickernappies page under the "cloth diapers" tab. Tell us, of the 10 great features listed there, which is your absolute favorite about the Knickernappies one-size diaper. This contest is open to US residents only and will run from Friday, July 8, 2011 through Sunday, August 7, 2011. The winner will be chosen via random.org and posted here on Monday, August 8, 2011. Anonymous entries will not be counted and will be deleted. You must leave a valid email address in your comments so that a winner can be contacted. If our winner doesn't respond within 48 hours, a new one will be chosen. The diaper pictured here is an example only and not necessarily what the winner will receive. Again, the mandatory entry above must be completed before any extra entries will count. This contest is subject to change at the sole discretion of Wee Little Changes. love that they have 4 size adjustments and snaps! I love that the "Lastin elastic is long lasting and can't "go out" like regular elastic"
I love the side snaps which make this diaper easier during potty learning. I like the 2 year guarantee on the elastic and snaps! I love the 2yr warranty on elastic and snaps. 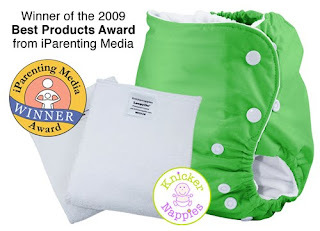 Most companies just do 1 yr.
Love the scooped tummy panel! I follow the Knickernappies blog on GFC. i like the double elastics to hold the insert in place!!! Love the loopy do inserts. "Four size adjustments to fit your baby best -- Small, Medium Short, Medium, and Large"
I love that you have a choice in the insert. I like that it can fit a baby from about 8 lbs to 40 lbs! We fanned Knickernappies on FB!! I love that the elastic is made to last!! I follow WLC on GFC! did I also mention that I follow your blog and I'm a fan on facebook? I love the scooped tummy panel! does it get any better than that? I've never seen a diaper with that before. Now I really want to try this diaper out! My favorite feature is definitely the gentle elastic. I am a Facebook fan of Knickernappies. I follow WLC via GFC. I love that there is a 2yr warranty on elastic and snaps! My guy is almost 4 months and nearly 20lbs! I love the size adjustments & the snaps! I follow the Knickernappies blog on GFC (Madeline). the 2 year guarantee on the snaps and elastic is freaking awesome!! My favorite feature is the Very gentle Lastin elastic in the leg and waist - no red marks! I like Knickernappies on FB as Melissa D. E.
I love that it is OS and fits babies 8-40 lbs. Like Knickernappies on FB. Tiffany W.